Hurricane season doesn’t officially begin until June 1, but tell that to Tropical Storm Ana, which made landfall on the South Carolina coast early May 10. 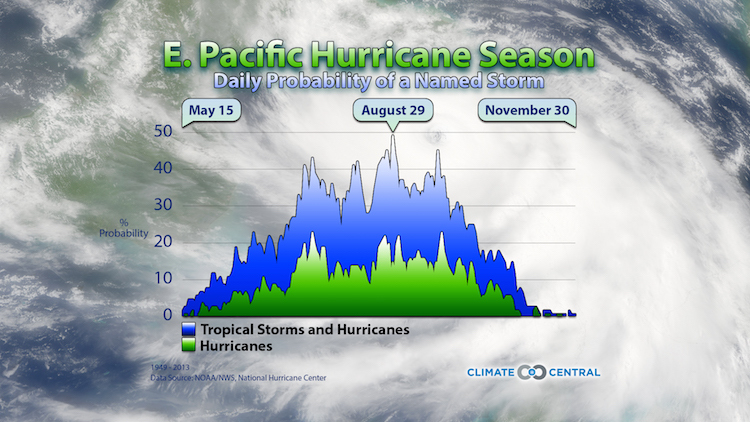 May storms, while unusual, aren’t unprecedented, since the official season dates are artificial. Records suggest they happen about once every six years. 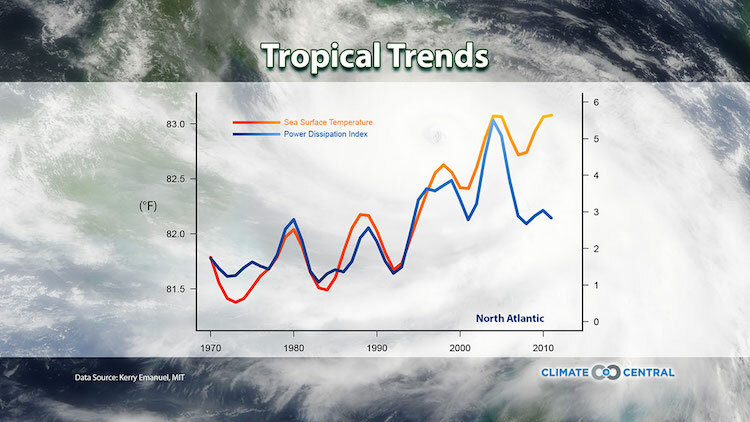 But in the ever-present context of a warming world, relative outliers like Ana raise questions about how the boundaries of the hurricane season might be changed as the Earth heats up: Will those seasons become longer as ocean waters warm and provide more fuel, or will the season be compressed as storms become less frequent, as some climate models have suggested? The question is one that researchers have just begun to delve into, as most hurricane-climate research over the past decade has instead focused on hurricane frequency and strength. What little work that has been done has given no definitive answers, but has provided some intriguing possibilities. 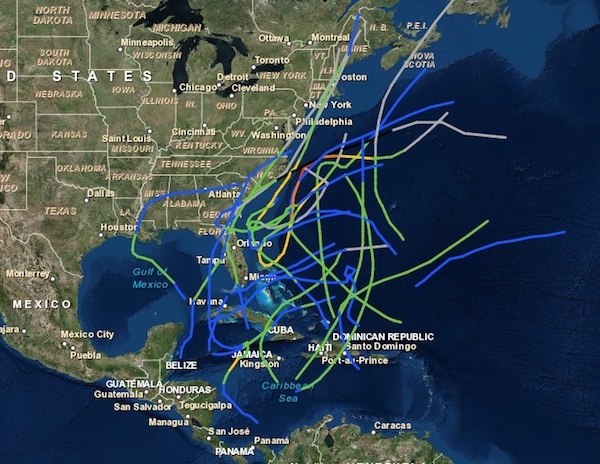 Observations stretching back to the mid-19th century suggest that the hurricane season is, in fact, getting longer, despite climate models showing conflicting results. 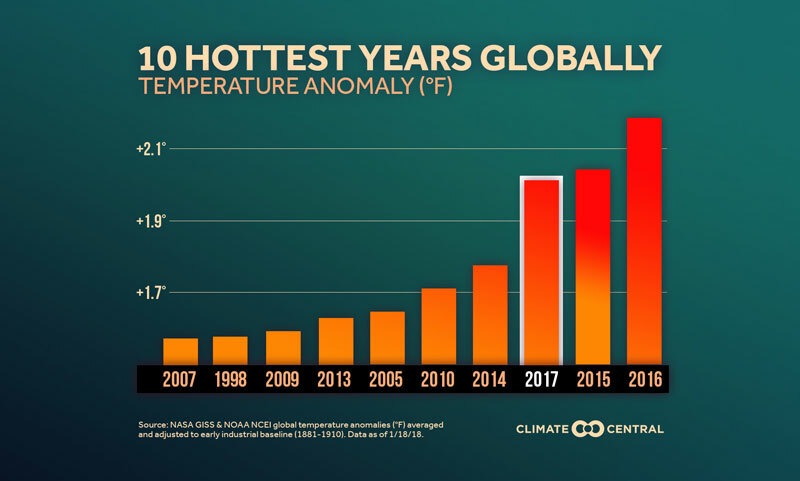 “We don’t have a completely locked down answer,” Suzana Camargo, a researcher at Columbia’s Lamont-Doherty Earth Observatory and co-author of a new model study on the issue, said. 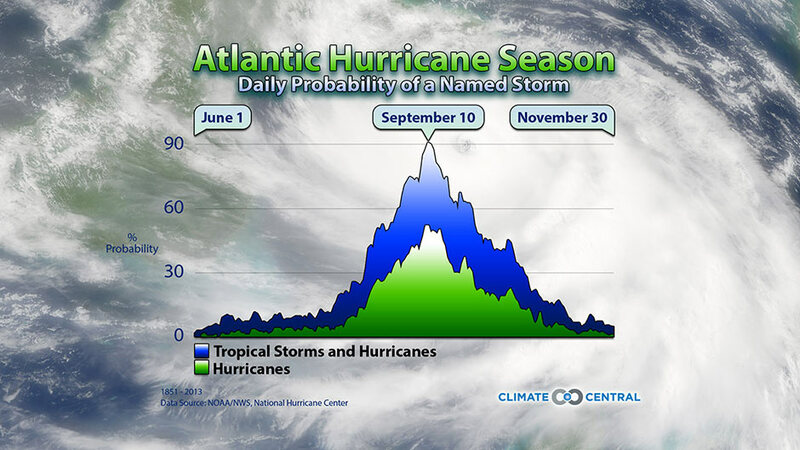 The Atlantic hurricane season is defined as the six-month period from June 1 to Nov. 30 and encompasses about 97 percent of the ocean basin’s tropical cyclone activity. While, as the NHC puts it, “there is nothing magical about these dates,” they bookmark the period when sea surface temperatures are warm enough to fuel storm development. As greenhouse gases trap more heat in the Earth’s atmosphere, 93 percent of it is soaked up by the world’s oceans. It is possible, some scientists think, that rising ocean temperatures might be warm enough to fuel storms for a longer portion of the year. But lots of other factors also determine whether or not a tropical cyclone (the generic term for tropical storms and hurricanes) forms, including a favorable atmospheric setup. So how the length of the season might change with warming isn’t so clear-cut. One of the first people to examine the question was atmospheric scientist Jim Kossin, of the University of Wisconsin and the National Oceanic and Atmospheric Administration. Looking at the observational data back in 2008, he found a slight lengthening of the season, a trend that grew stronger when he recently re-examined it to extend the data through the 2014 season. Hurricane data can be unreliable because today’s satellites can spot storms that might have been missed in earlier periods. But Kossin said the trend he sees is even stronger when data only going back to 1950 are considered. All 23 storms in the National Hurricane Center record that have formed in the Atlantic basin during the month of May. “The evidence here certainly points toward that trend seems fairly real,” he said. 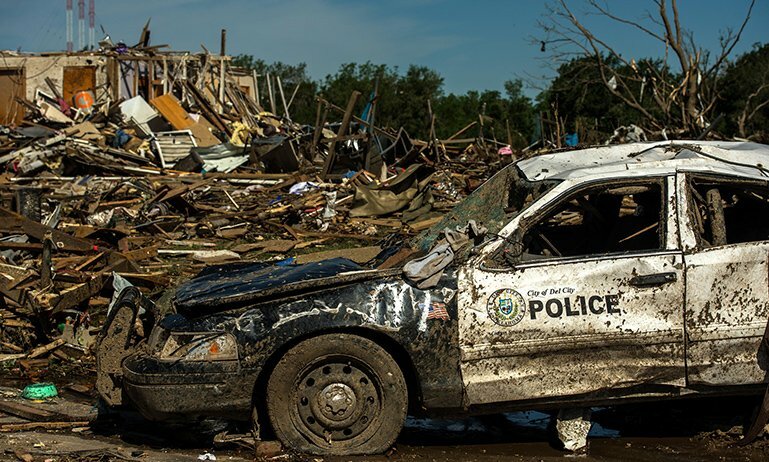 The results of climate model experiments looking at the future are more of a mixed bag. Camargo and other Columbia scientists used four different approaches and found that while one method suggested that the season would get longer by 2100, the other three suggested the season would actually become shorter. One key relationship uncovered by the model study, accepted for publication in the Journal of Climate, was between the frequency of tropical cyclones (or how many there are in a season) and the length of that season: Fewer storms equals a shorter season, and vice versa. “So answering the frequency question is key to determining the seasonality question,” study leader and MIT post-doctoral researcher John Dwyer, a graduate student at Columbia when the research was conducted, said in an email. Dwyer and Camargo said that teasing out what the future may hold for season length will likely take models that can better represent storms, as well as an improved understanding of the physics behind the formation and evolution of hurricanes. “I think we have to wait for the next generation of models and see what we get,” Camargo said.